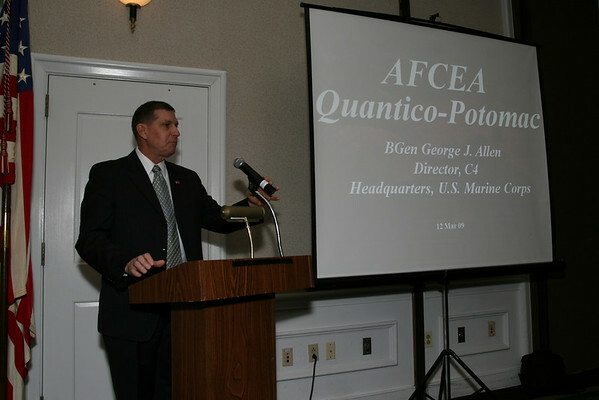 MajGen(sel) Allen’s presentation can be downloaded here. 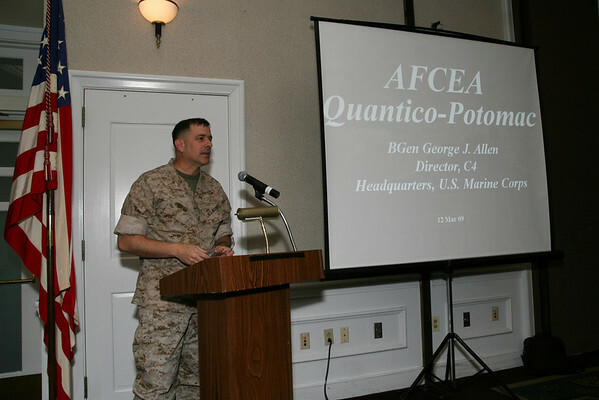 Prior to this assignment, Brigadier General Allen was the Commanding Officer, Marine Corps Tactical Systems Support Activity, Camp Pendleton, California. 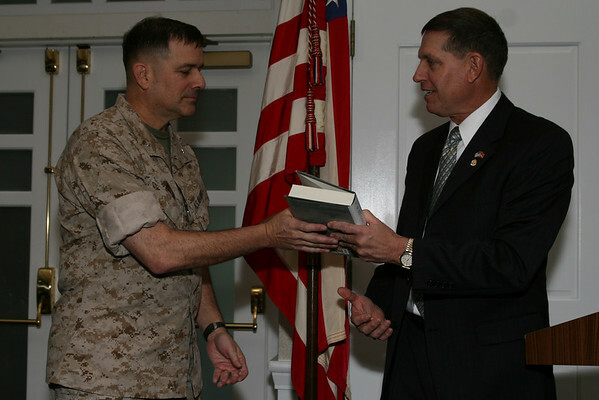 Brigadier General Allen’s previous command positions include Commanding Officer, 8th Communication Battalion, MarForLant; Detachment Bravo Company Commander, Marine Wing Communications Squadron-38, 3rd Marine Aircraft Wing; Communications Platoon Commander, 31st Marine Amphibious Unit, III MEF; Multichannel Platoon Commander, Communication Company, Headquarters Battalion, 3d Marine Division, FMFPac; Radio Platoon Commander, 8th Communication Battalion, FMFLant; Wire Platoon Commander, 8th Communication Battalion, FMFLant. 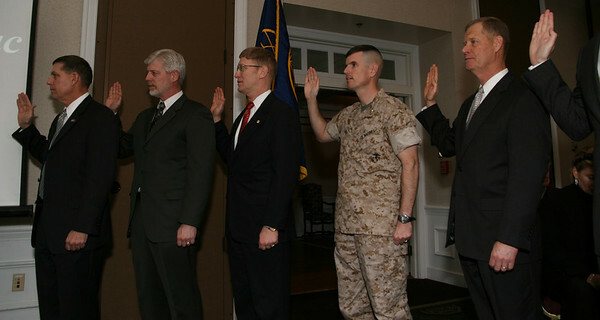 His previous staff assignments include Assistant Chief of Staff, G-6, First Marine Expeditionary Force during Operation Iraqi Freedom and Operation Enduring Freedom; Division Chief, C4 Directorate, Headquarters Marine Corps; Assistant Chief of Staff, G-6, 2d Marine Division, Marine Forces Atlantic; G-6 Operations Officer, 2d Marine Division, Marine Forces Atlantic; S-6 Officer, 9th Marines, 3d Marine Division, FMFPac; Unified Plans Branch Chief, Defense Communications Agency-Pacific; S-3 Officer, MWCS-38, 3rd MAW; MAG-50 Communications Officer, MWCS-38, 3rd MAW; S-4 Officer, MWCS-38, 3rd MAW; Marine Communications Instructor to the U.S. Army Field Artillery School, Fort Sill, Oklahoma; Assistant Communications-Electronics Officer, 31st Marine Amphibious Unit, III MEF; Communications Watch Officer, Battalion Maintenance Management Officer, 8th Communication Battalion, FMFLant. 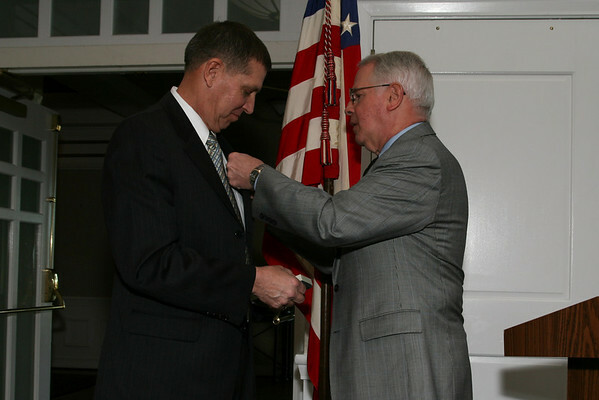 Brigadier General Allen earned a M.B.A. from Oklahoma City University and a M.S. in National Resource Strategy from the Industrial College of the Armed Forces, National Defense University. He also attended The Basic School, Advanced Communications Officers’ Course, and the Marine Corps Command and Staff College.